This is a reading/vocab building worksheet for pre-intermediate learners. 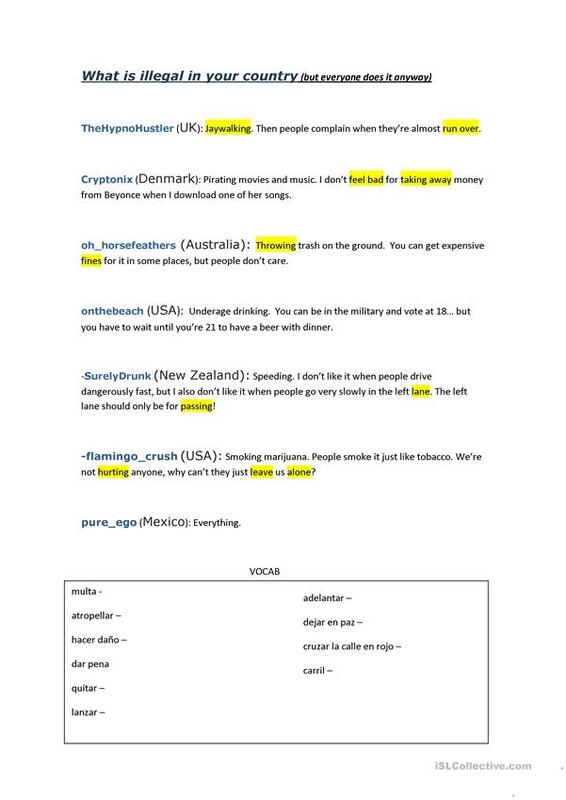 You should read it together and fill in the vocab at the bottom, then maybe have a class discussion about what are some illegal things that people do in your country. This is something a little edgier, good for a young adult class who's tired of reading about boring stuff! The present downloadable printable is intended for adults at Elementary (A1) and Pre-intermediate (A2) level. It can be used for developing your learners' Reading skills. You will find the answer key at the end of the worksheet.